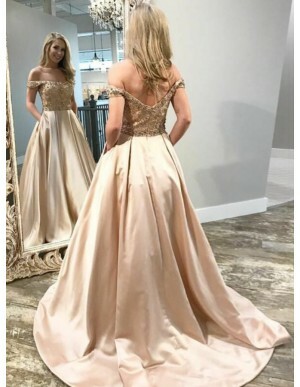 Buy Modern Off-the-Shoulder Long Champagne Prom Dress with Beading Pockets from Sevenprom.com - $119.99. 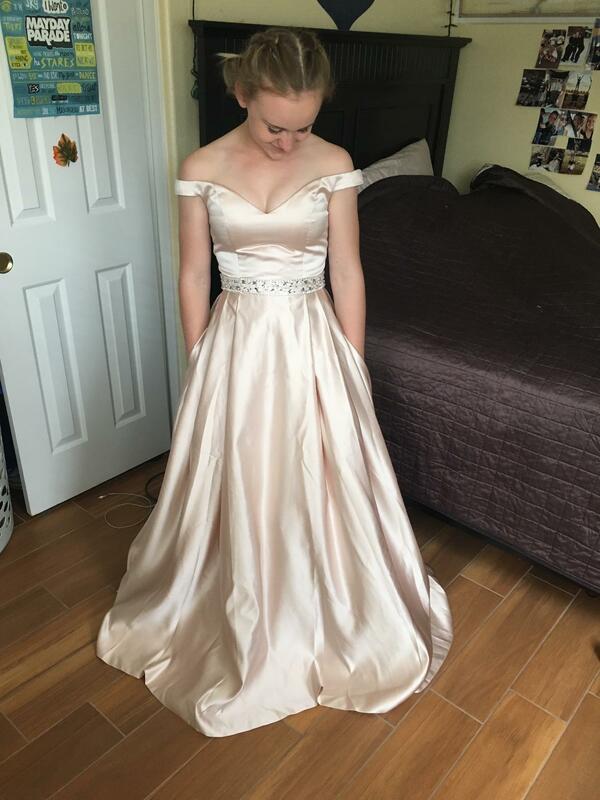 Love this dress. I'm 5"7, 160 pounds and I get a size 8. ( but I have a small waist) So It fits perfectly. 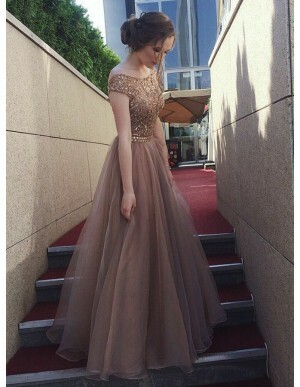 Upload your photo for Modern Off-the-Shoulder Long Champagne Prom Dress with Beading Pockets.